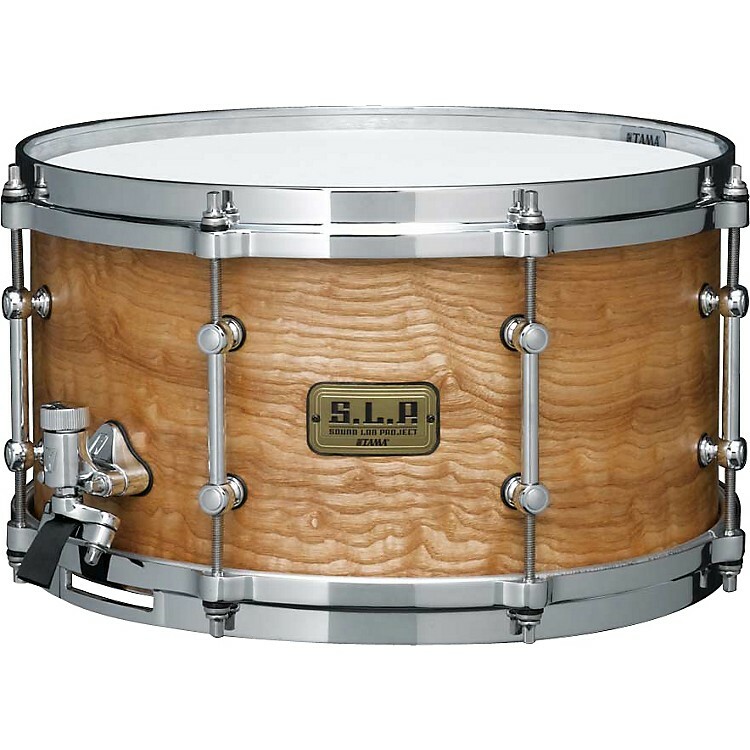 A brawny, maple-shelled snare for power drummers who refuse to sacrifice tonal quality for big sound. The Tama S.L.P. G-Maple Snare is at the nexus of the snare drum universe. A fusion of boutique-style, select hardwoods and unique dimensions, it delivers a rich, thick tone with bright and surprising volume. With a thick 13-ply 10mm Maple shell, the generous dimensions and appearance of the drum make an immediate impression. However, the innovations don't stop at the tone and appearance. Tama's work on identifying the ideal snare sound led them to develop the new hardware like the "Sound Arc" Hoops which add sustain, wider tuning range and a fuller frequency response. Hearty brass tube lugs will ensure a long lifespan for your tension rods, as well as your tune. And finally, the Starclassic Hi- Carbon Steel Snappy snares will emphasize needed punch and attack, as needed. Don't settle for tone or volume - have them both! Order today.